​It’s 1987, and a dark shadow is about to fall upon the city of Sifton and its residents. Hayward Barry and his best friends—Joe, Davey, and Pete—are typical fifth- and sixth-grade boys, hanging out after school and getting into trouble. However, powerful urges and deep feelings have begun to grow in the boys as they approach young adulthood; for Hayward, this is his affection for Beth, a girl in his class who he fears will be swept away by another boy named Daniel. For Pete, it is a volatile temper and the desire to always get his way. 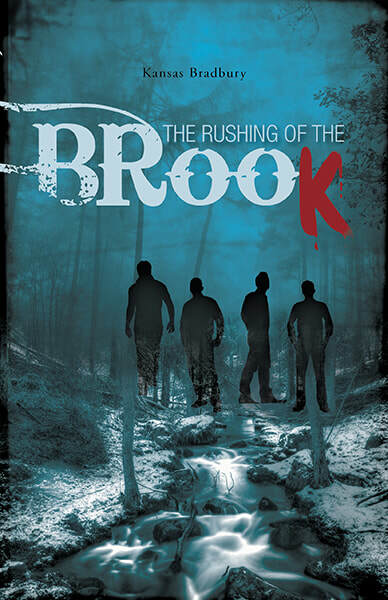 When Davey is given something that Pete wants, it sets off a disastrous chain of events that strips them all of their childhood, drowning their innocence to the sound of a rushing brook—a sound none of them will forget. As misery and happenstance would have it, the day tragedy strikes Hayward and his friends, a murderous monster awakes from hibernation in a town miles away. Getting into a stolen vehicle with bloody clothes and an unspeakable lust for violence, the nameless man drives towards Sifton, wreaking destruction and horror along the way. While his story won’t collide with the boys’ lives until seventeen years later—when they have all grown up—this man will reopen old wounds and awaken the trauma that has never healed. Hayward, now a failed artist and reluctant police officer, is left to pick up the pieces of a shattered community and solve the mystery of the event that has come to dominate his life.